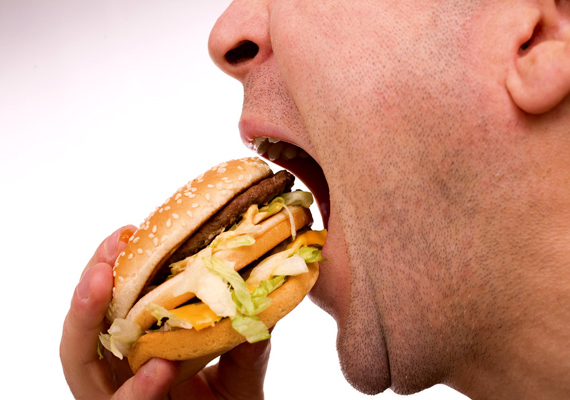 Why are Lifestyle diseases rampant these days? What homeopathy has to offer? What are lifestyle diseases? Let us understand the basic idea behind lifestyle related disease. 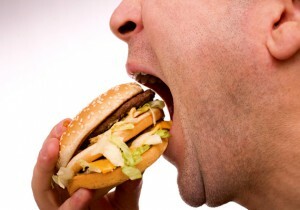 The diseases resulting from unsual and unhealthy lifestyles are called as lifestyles diseases. The most common lifestyle diseases found these days are hypertension (High blood pressure ), diabetes mellitus (High blood sugar), obesity, hyperlipidemia (High cholestrol), coronary heart dieases or ischemic heart disease (heart disease caused as a result of inadequate blood supply to heart muscle). These diseases constitute majority of the part of the world. Initially most of the diseases go unnoticed. People only take them seriously when they have any symptoms and rush to the doctor and find they blood pressure elevated or blood sugar increased. One may also get to know about this illness accidentally through routine investigations. In the current world we are living in, it becomes important for one to know themselves and their body well. Hence, Lets know about these diseases one by one. 1) Hypertension (High blood pressure)- Hypertension is a technical term used for a condition of the body in which blood pressure is higher than normal. Hypertension in simple words is increase in the pressure exerted by the walls of the blood vessel. It has many causes which can even be experienced and corrected by us in our daily routine. 2) Diabetes mellitus (High blood sugar)- You all must be familiar with the word ‘sugar’ in cntext of a disease in which blood sugar levels are high and traces of sugar are observed in urine. This word is colloquially used for the disease diabetes mellitus. The main factor behind this condition is a lack of hormone ‘insulin’. Diabtes mellitus is defined as a metabolic disorder characterized by an elevation of blood sugar (Glucose) levels. Following are the risk factors which contrbute to the disease. Malnutrition: Undernutrition (Underweight) and overnutrition (Overweight) both play a role in development of the disease. Heredity: people whose parents, grandparents or siblings are suffering from diabetes, they are higher risk. Gestation (pregnancy): Some women develop diabetes during pregnancy. In most cases it gets cured after delivery. Stress: Studies suggest that factors like emotional stress, anxiety etc. Can lead to development of the disease. 3) Obesity- Obesity refers to being fat or having excess of fat tissue (more than required for optimal functioning). Most of the people do not consider as a serious disorder. Some consider it bad from the point of view of appearance only, while others may think only in terms of reduced work capacity or inability for active participation in daily activities. 4) Coronary heart disease- Coronary heart disease or CHD is result of an inadequate supply of blood to the heart muscle due to obstruction in flow of blood in major blood vessels of heart. Family history: Individuals having family history in parents and grandparents are prone. These factors have their contribution in less or moderation in causing these lifestyle diseases. It becomes important for one to be present for these contributing factors in one’s life and get rid of them as soon as possible. Knowingly or unknowingly one out of ten people my have one of these factors in their routine. But many are unaware of it, some ignore them and few have already formed a habit towards these things hence are unable to overcome them. [box type=”info” ]30+ years of expertise. 180+ countries like UK, USA, Australia, Canada, UAE & more served. Ask your question to Dr. Shah’s team directly & get expert opinion on your ailment! [/box] As urbanization is flaring up day by day, there is no age bar left in order to classify these diseases age wise. Nevertheless, anyone can contract these diseases at any point of their lives. When you look at each diseases the cmmon factor which comes into play is sedentary lifestyle. Say it at work or at home, individuals have develop such a habit or working by rescting themselves and engrossed into work which leads to a sluggish system and blood circulation. When at home many of them are restricted to gadgets or keep themselves restricted to their own rooms and comfort zones. Ultimately “All work and no play make Jack a dull boy”. Many people become alert when they start seeing some difference with their bodies and in their daily performances. They then seek treatment with various faculties only with a hope to get better as soon as possible. Last but not the least, when you are ready to follow a positive attitude towards life and get rid of the causative factors that may have caused the disease to you. Homeopathic medicines address the root cause of diseases. It helps in a complete recovery provided it is supported with a well planned and managed diet and exercise regimen. It helps boosts one’s immunity in order to control the pathology and further spread of the disease. Homeopathy can be the first line of treatment when the above given terms are fulfilled. Dr. Shah at Life Force excels in treating lifestyle diseases with the help of natural remedies and this research based medicines. For any queries feel free to contact us on 022- 6888888 or mail us to info@lifeforce.in. Homeopathy is safe, permanent and effective. Wish you health and harmony with homeopathy. – Dr. Kanchan Gohil, Associate doctor to Dr. Rajesh Shah, Life Force team.